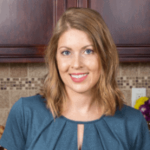 Published: Jun 11, 2018 · Modified: Apr 11, 2019 · By Jen Sobjack · This post may contain affiliate links. 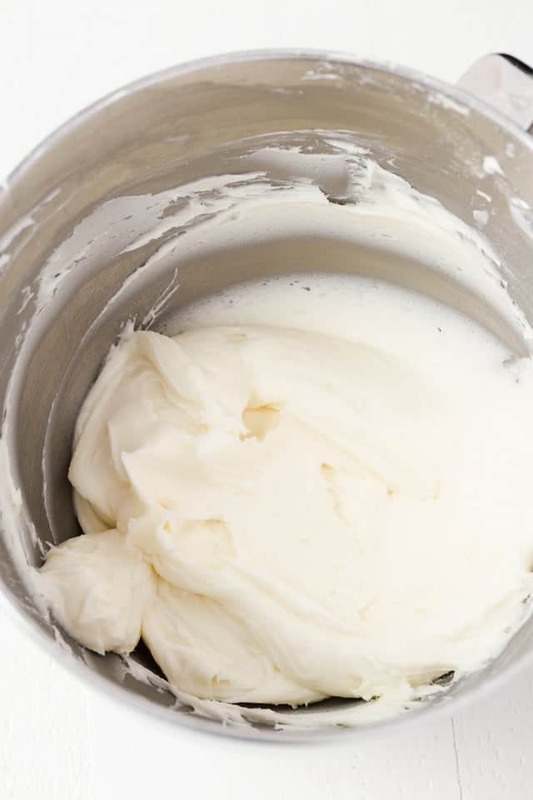 There’s nothing better than this recipe for homemade Coconut Buttercream Frosting. It’s a made from scratch, simple recipe that is perfect slathered on cakes, cupcakes, or right from the spoon. This post has been updated with new content and photos. The original post was first published May 6, 2015. 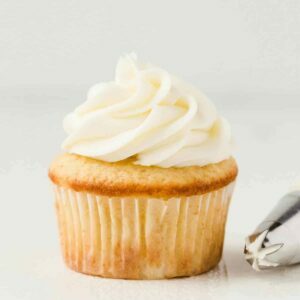 I have for you the best Coconut Buttercream Frosting recipe! It’s creamy and silky. It’s stiff and pipe-able. It’s darn right delicious. It’s made with powdered sugar, butter, and coconut milk. The end result has a thick, silky texture with a light coconut taste, making it great for any tropical dessert. Do you see how fluffy it looks? All those air pockets? This was achieved by beating with my electric mixer for an extra five minutes. It whips up into a thick and fluffy consistency. I’ve made cookie butter frosting, salted caramel frosting, and 7-minute frosting. Each one was great but they come nowhere near as delectable as today’s frosting. 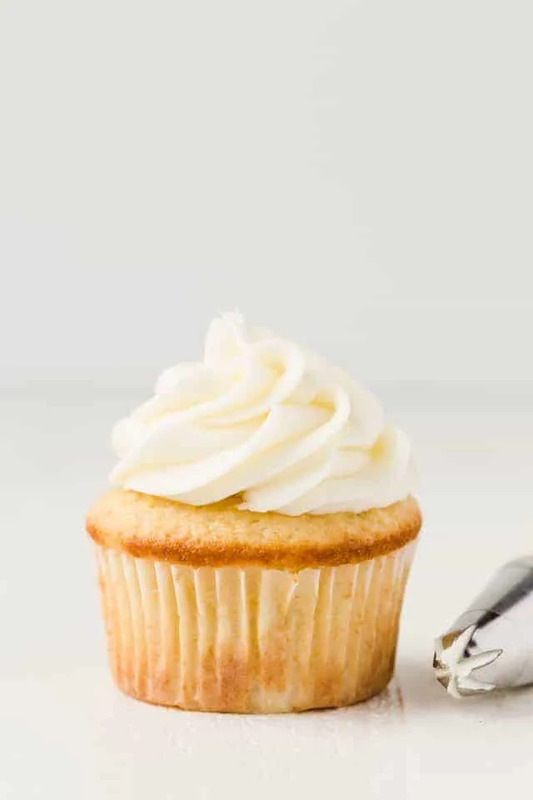 This version of easy coconut frosting uses coconut milk instead of coconut extract. The result is a lusciously silky texture that glides across the tongue. I seriously love how smooth it is. It’s just as silky as my cream cheese frosting! If you need more coconut flavor, add half a teaspoon of coconut extract. I’ve updated the recipe with instructions on how to use coconut cream instead of milk for even more flavor. Pro tip – Make sure the butter is super soft! Set the butter on the counter 1-2 hours prior to use. This is now my new favorite frosting. I want to put it on top of everything. I’m certain you are going to feel the same way too! Try it on pineapple cupcakes, pineapple coconut cake, or this pineapple poke cake! What tropical dessert would you pair this frosting with? I’d love to hear your ideas. Or, if you’ve already made it and really enjoyed, I’d like to hear that too! Do I have to use canned coconut milk? You must use canned coconut milk. Refrigerated coconut milk is a beverage and is watered down. You can typically find canned coconut milk in the Asian food aisle of the grocery store. What kind of coconut milk do you recommend? Regular/full-fat canned coconut milk is best for this recipe. Can you use coconut cream? You certainly can! This will give you a richer coconut flavor. Does the frosting need to be refrigerated or can it be stored at room temp for a couple of hours? It would be safe for a couple of hours at room temp but definitely no longer than that. If you plan to use it the next day, refrigerate it and then let it sit for 30 mins to soften before use. You may have to re-whip it if you refrigerate it. Can I add shredded coconut to the frosting? You certainly can! Keep in mind the frosting may be difficult to pipe through small piping tips due to the coconut flakes. Can I use coconut sugar? I don’t recommend this. Coconut sugar is very coarse and will not work like confectioner’s sugar. Confectioner’s sugar is ground to a powder consistency and mixed with cornstarch. This is what thickens the frosting. There’s absolutely no way to tell how much salt is in the butter. You run the risk of having super salty frosting. For best results, use unsalted butter and add a pinch of salt if needed. Yes! Use a high-quality gel food coloring such as AmeriColor. 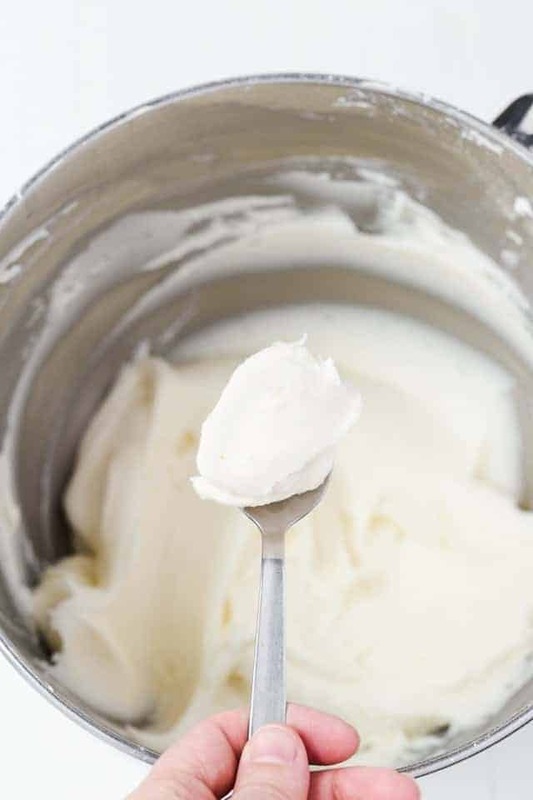 Using a handheld mixer or stand mixer fitted with the whisk attachment, beat the butter on medium-high speed until smooth and creamy, about 5 minutes. Add 2 cups of confectioner’s sugar, beat on medium-low speed until most of the sugar is moistened. Gradually add in the remaining sugar, one cup at a time, mixing well after each addition. Stop to scrape down the sides of the bowl as needed. And the salt and the coconut milk, one tablespoon at a time, beating on medium speed until fully incorporated. You may need more or less of the coconut milk depending on how strong you’d like the flavor. Turn the speed up to medium-high and beat until light and fluffy. Scrape down the sides of the bowl as needed. *You can use coconut cream with this recipe also. I’ve tested it and it yields so much more coconut flavor. You will need less coconut cream so be sure to add just one tablespoon at a time until the frosting reaches the desired taste and texture. 1. 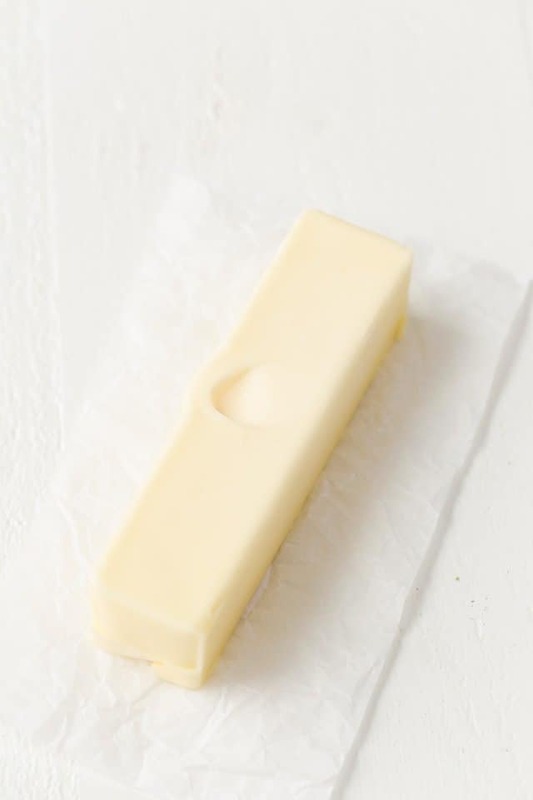 Soften the butter by allowing it to sit at room temperature for 1-2 hours prior to making the frosting. DO NOT soften the butter by heating it in the microwave!! 2. It is important to shake the can of coconut milk/cream vigorously before opening it. The fats and liquids separate in the can after sitting. You want a combination of both for the frosting, so mix it very well. 3. If the coconut flavor isn’t as strong as you’d like, try adding 1/2 to 1 teaspoon coconut extract. 4. You can also add 1 teaspoon vanilla extract for more flavor. Updated 6/4/2018 with new ingredient ratios and instructions so everyone can have success with the recipe.